19014 Greenlight Artisan Collection - Supernatural (TV Series 2005) - 1967 Chevrolet Impala Sport Hard Top. 1:18 scale diecast collectible model car. This Chevy Impala is an 11" long authentic detailed replica. Made of heavy weight die-cast metal and plastic. New tooling, authentic decoration, chrome accents, custom Movie packaging, true-to-scale Detail, limited edition. This Impala is manufactured by Green Light. Item 19014 is in BLACK. Individually packed in a movie themed box. 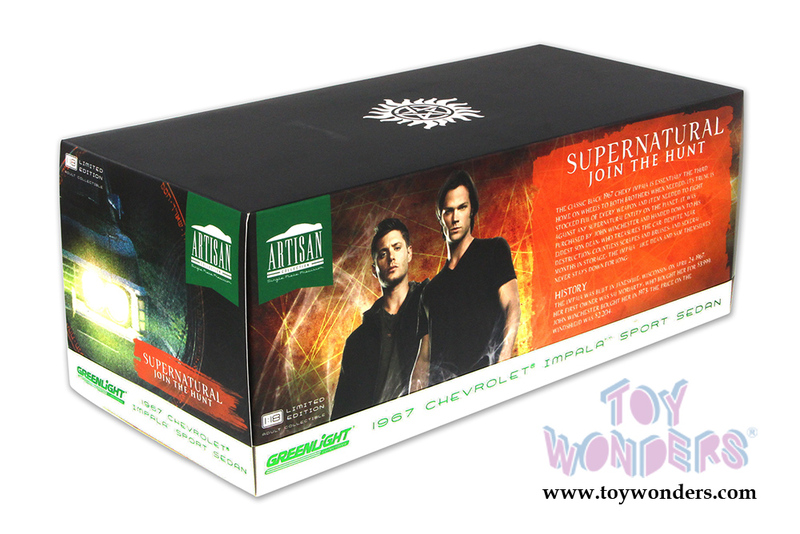 Box size: 13.75"L x 6.5"W x 5.5"H. Limited edition. 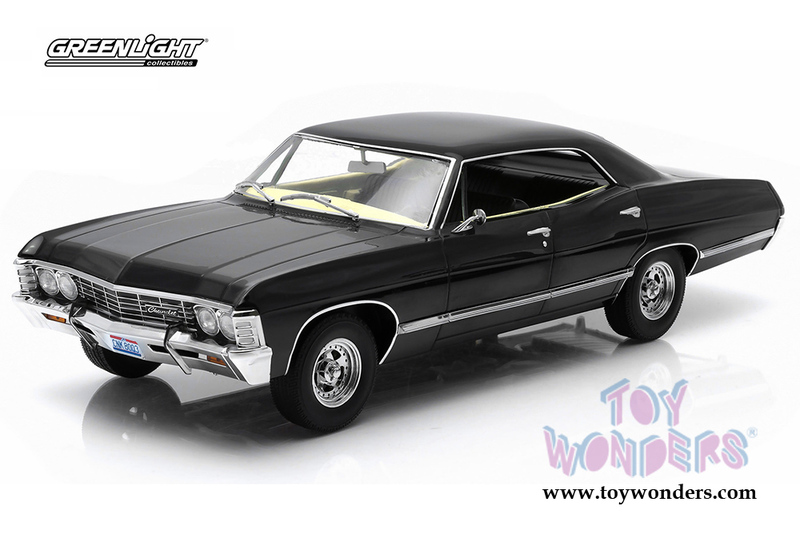 The classic black 1967 Chevy Impala is essentially the third home on wheels to both brothers when needed, its trunk is stocked full of every weapon and item needed to fight against any supernatural entity on the planet. 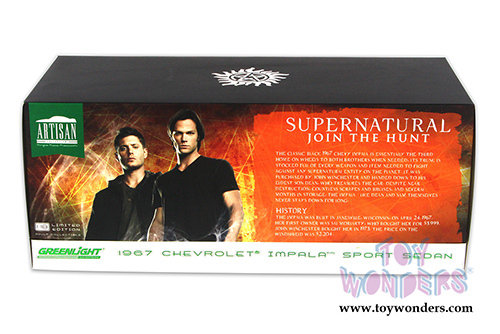 It was purchased by John Winchester and handed down to his eldest son Dean, who treasures the car. Despite near destruction, countless scrapes and bruises, and several months in storage, the Impala like Dean an Sam themselves never stays down for long. The Impala was built in Janesville, Wisconsin, on April 24, 1967. Her first owner was Sal Moriarty, who bought her for $3,999. John Winchester Bought her in 1973. The price on the winshield was $2204. To see more Plymouth die-cast collector vehicles (click here).